Scratching your head over whether you should be shopping for furnaces or heat pumps? 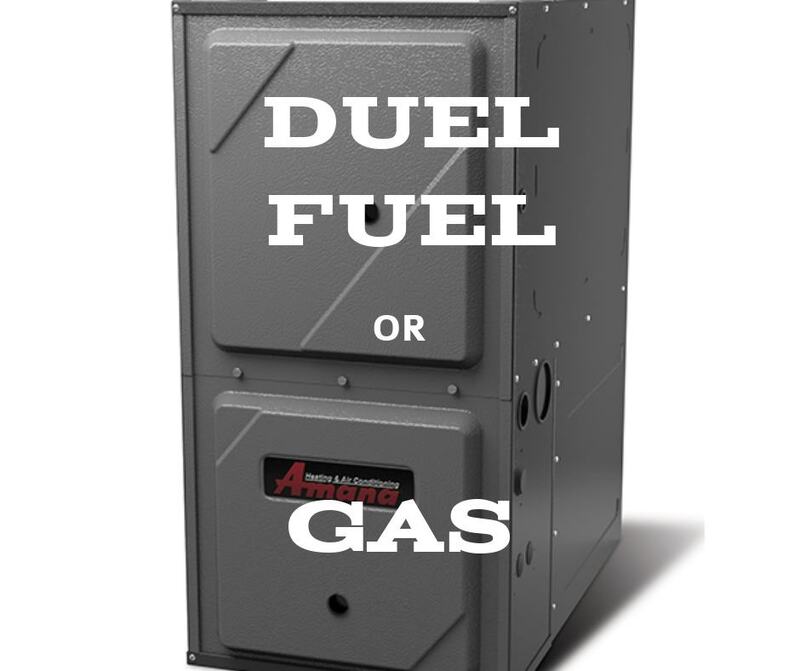 Why not enjoy the best of both worlds with a dual fuel system for your home. Dual fuel systems are among the best heating and cooling units on the market. They combine both a furnace and a heat pump into a single, multi-functional, highly-efficient system. Providing both air and heat, they truly offer the best of both worlds. What Makes Dual Fuel Systems So Efficient? Heating and cooling companies know heat pumps are highly-efficient, removing heat from the outdoors and transferring it into your home. In cool (not cold) weather, they are more efficient than furnaces. Non-combustion, they do not produce carbon monoxide. Air is passed over a coil in the system. This coil is warmed in the winter, and cold in the summer when the system works in reverse to provide air conditioning. However, heat pumps aren’t perfect. They struggle to provide heat when temperatures dip in the 30s, relying on electric heat strips, which are more expensive to use, to supplement heat. Natural gas prices are relatively low, making gas furnaces an efficient heating method in the bitter cold of winter when energy usage is highest. Newer furnace models with 95% AFUE ratings (efficiency ratings) use 95% of energy (gas) as heat, expelling just 5% as exhaust (waste). Heat produced feels warmer than heat pump generated warmth, which blows cooler. But furnaces aren’t perfect either. Gas heat isn’t as efficient as heat pump warmth when winter temperatures are warmer (40s-50s). With improperly/over-sized systems, they can heat the home too quickly, leaving warm and cold spots. The hotter heat they produce can dry skin. These combustion systems also produce carbon monoxide, making annual professional inspection a necessity to ensure safety, as well as the addition of a carbon monoxide monitor. Providing optimal comfort and efficiency, dual fuel systems combine both these systems into one high-performance unit: Heat pump components are used to cool and heat the home when the outside temperatures are moderate. Then, when temperatures are frigid, the system is switched to furnace mode for superior comfort and performance. Is a Dual Fuel System for Me? Dual fuel systems make a cost-effective option when you have access to gas lines. If your home currently has only one of these systems (heat pump OR furnace), however, there may be additional costs involved in upgrading to a dual fuel system: Either upgrading your electrical system to accommodate a heat pump, or running gas lines to your home to accommodate a furnace may be necessary. Purchasing a heating unit for your house is a major investment. Reduce the stress with the help of your friendly neighborhood H&H Heating & Air Conditioning pro. Discover our ‘no lemon’ guarantee, learning more about available government and utility incentives on these amazingly efficient systems. Contact us today.